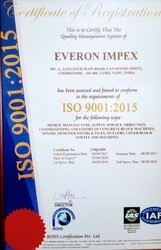 Since our commencement in the year 2006, we, “Everon Impex”, are an ISO 9001:2008 certified organization, engaged as a manufacturer, supplier, exporter and trader a commendable range of Construction Machines. 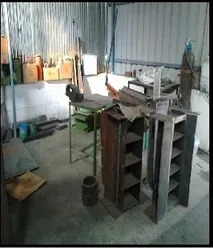 The range offered by us comprises Designer Block Making Machine, Concrete Mixer Machine and Cover Block Making Machine. In addition to this, we are offering repairing and maintenance services to our customers for their ease. Our offered machines are widely known in the market for their features like robust construction, minimal maintenance, longer service life, high performance, corrosion resistance, abrasion resistance and high tensile strength. Owing to these features, our offered machines are demanded for boats, garment factories, small scale industries, hosiery units, hospitals, panchayats, tribal settlements and mobile phone towers. All our business operations are looked after by a team of diligent professionals, which never compromises with the quality of the products. Our team is hired after rigorous market research on the basis of their qualification and knowledge. Works in close coordination with each other, our team aims to fulfill the organizational goals in efficient manner. 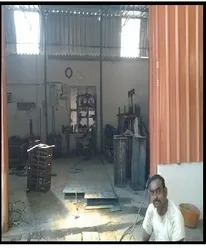 Owing to this, we have gained customers like Srinivasa Associates, Peelamedu, Coimbatore, Tamil Nadu, Karthick Blue Materials, Chennai, Tamil Nadu and M4 lines Hyderabad, Tamil Nadu. Under the guidance of our mentor 'Mr. 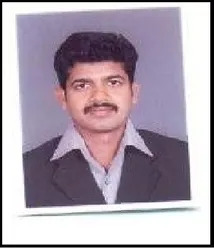 P. G. Satheesh Kumar', we have mustered huge client-base across the global market. Owing to skills and techniques, we are successfully catering to the demands of customers. 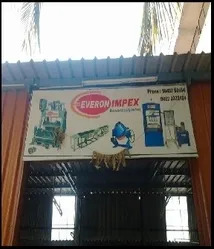 Manufacturing, Trading, Importer & Exporter of Construction Machine. At our end, we have developed a state-of-the-art infrastructure facility, which enables us to manufacture, supply, trade and export Construction Machines. Spread across an extensive area of premises, our infrastructure is equipped with modern machines that are upgraded on a regular basis. Fulfilling the bulk requirement of the customers in efficient manner, we have mustered huge client-base across the globe. 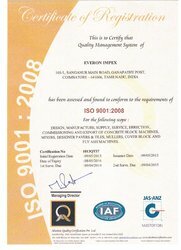 This is to certify that the Quality Management System of Everon Impex has been assessed and found to confirm to the requirements of ISO 9001:2015 for the following scope of design , manufacture, supply , service, errection , commisioning and export of concrete block machines, mixers , designer pavers and tiles , mullers, cover block and fly ash machines. 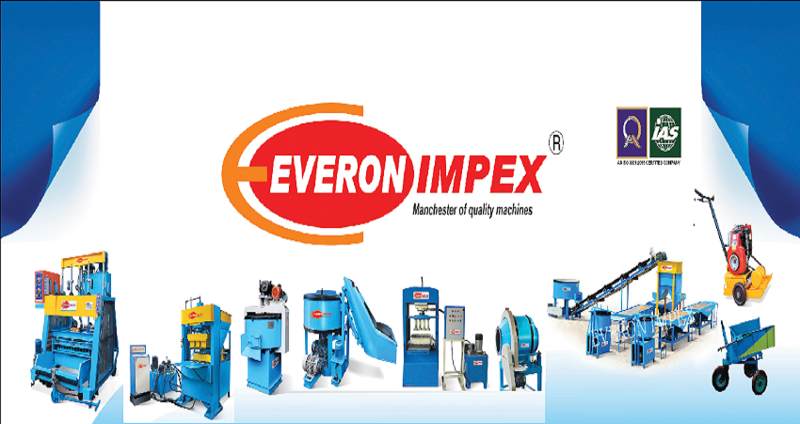 Backed by an efficient and proficient team of experts, we have been able to manufacture, supply, trade and export Construction Machines. To accomplish the business related activities, our team works in streamlined manner with each other. Keeping in mind the exact requirements of customers, our team manufactures the entire range with perfection. Furthermore, we arrange training and development sessions on regular basis to keep them updated with the changing market trends. Ours is an ISO 9001:2015 certified organization, which indicates about the quality of our offered range of Construction Machines. In the supervision of distinguished engineers, we carry out the entire production process, without leaving any scope for defects. Moreover, with the aid of wide distribution network, we are able to dispatch our products on-time to the customers' premises. Owing to our ethical business policies, we have gained maximum client satisfaction.